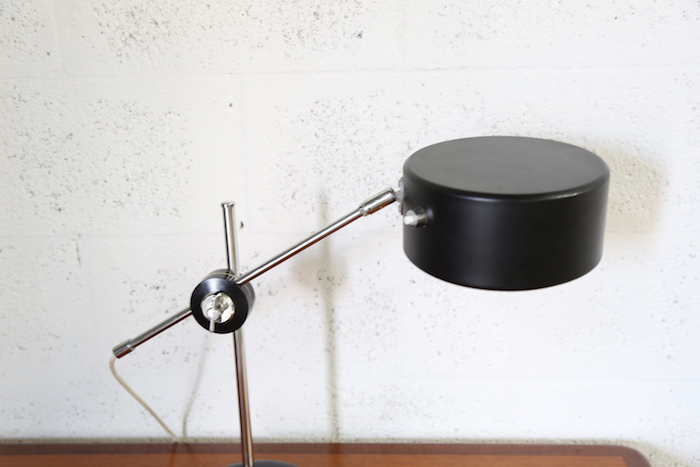 The Simris Olympia table lamp was designed by Anders Pehrson for Ateljé Lyktan in the 1960s. The design is Swedish. The lamp has a beautiful stitched leather covered steel based and aluminum body. The original glare shield in acrylic is missing but overall the lamp is in good condition. Height is adjustable in all directions. Minor scratches on lamp shade. Original European plug, converter is included. 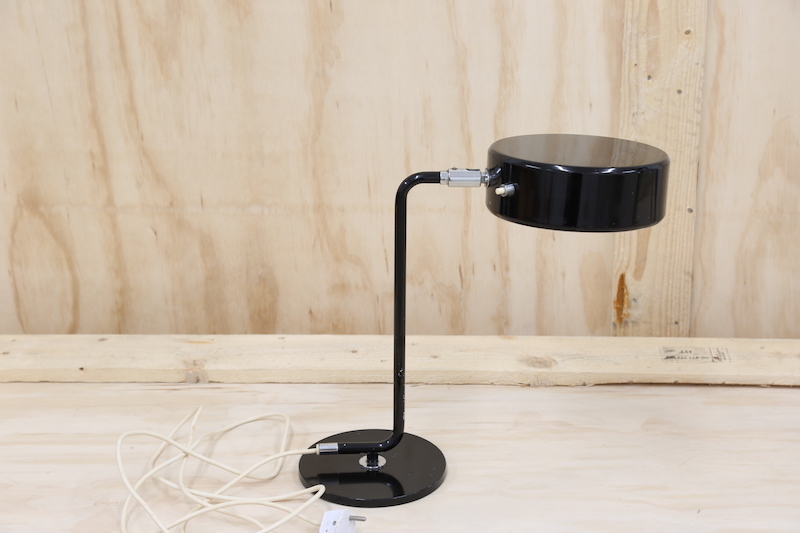 A great little table lamp with a 1960s vibe. Created by Ateljé Lyktan in Sweden a classic shape. The table lamp has swivel movement in the shade. It has a few scratches on the paint but in overall good condition. Acrylic glare shade is missing. Converter is included. Rare brown tube table lamp by Anders Pehrson for Atelje Lyktan #2578 with round bottom from the 1970s. 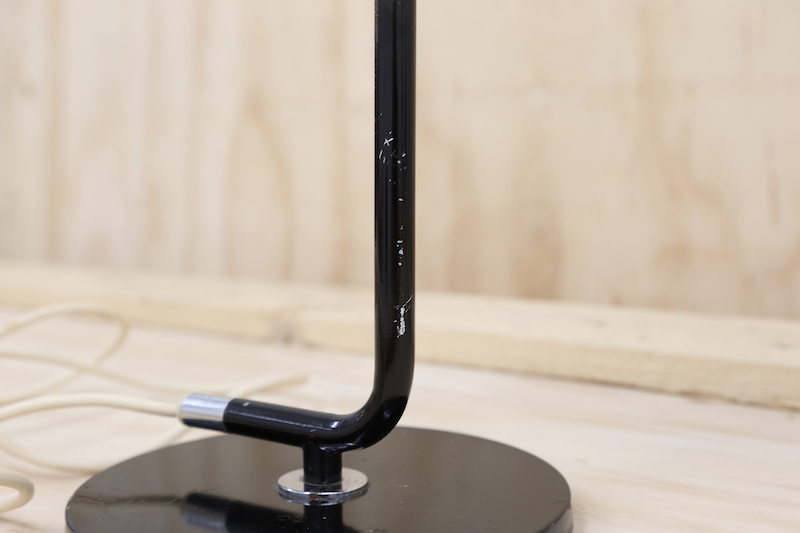 Lamp base is 8 inches wide. Great task lighting. In working condition, with original plug and new adaptor, condition consistent with age and use. Very unique in shape, a statement for any desk. Pair with a midcentury wooden desk or glass top and black leather accents. A collector's piece. Converter is included. In the style of Finnish designer Paavo Tynell’s Chinese Hat table lamp, this table lamp has a beautiful combination of metal, teak and brass top detail. Original electrical in working condition. Minor nicks on the edges of base and lamp shade but overall great condition. The lamp shade is 16 inches total and the base is 6 inches in diameter. Approximately from the 1940s. A vintage touch for any room. Converter is included. White lacquer floor lamp with adjustable neck and floor pedal switch. In working condition, with original plug, minor scratches consistent with age. Converter is included. A beautiful forest green 'Bumling' Table Lamp designed by Anders Pehrson manufactured by Atelje Lyktan in Sweden. A Mid-Century classic. The lamp is in working condition with the original European plug, the lamp comes with US plug adapter. Leather base is in excellent condition. The base is 10 inches in diameter. Shade is 15 inches max in diameter. 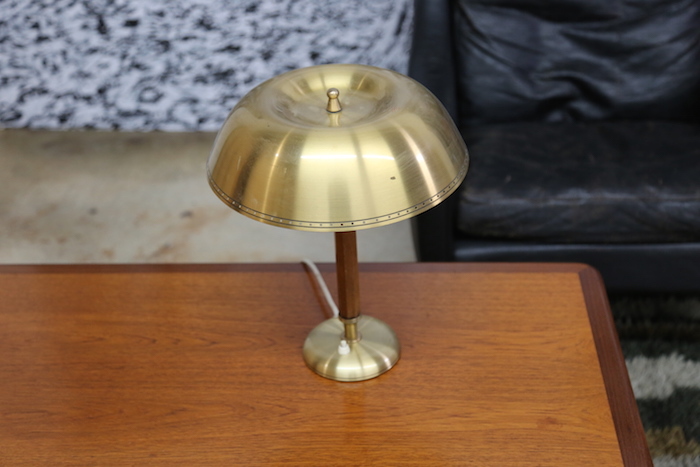 This mid-century table lamp is a versatile addition to any room. Made of brass and beautiful purple toned ceramic with a brand new lampshade in light grey linen. European plug, converter included. 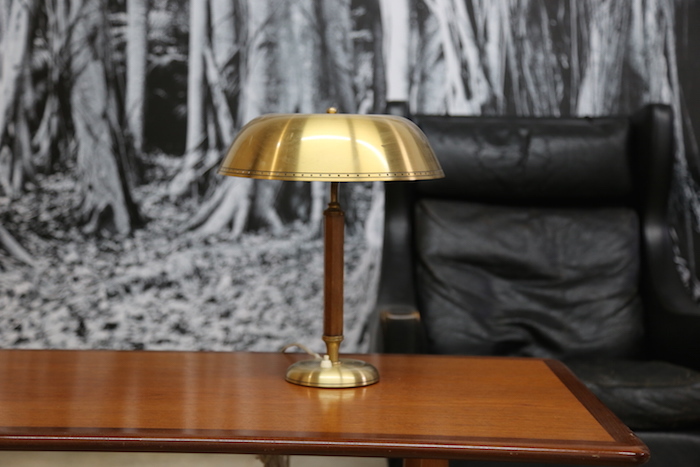 Brass table lamp with a faceted teak wooden base. Original European plug. Probably from the 40s, classic umbrella design. The lamp is functional. 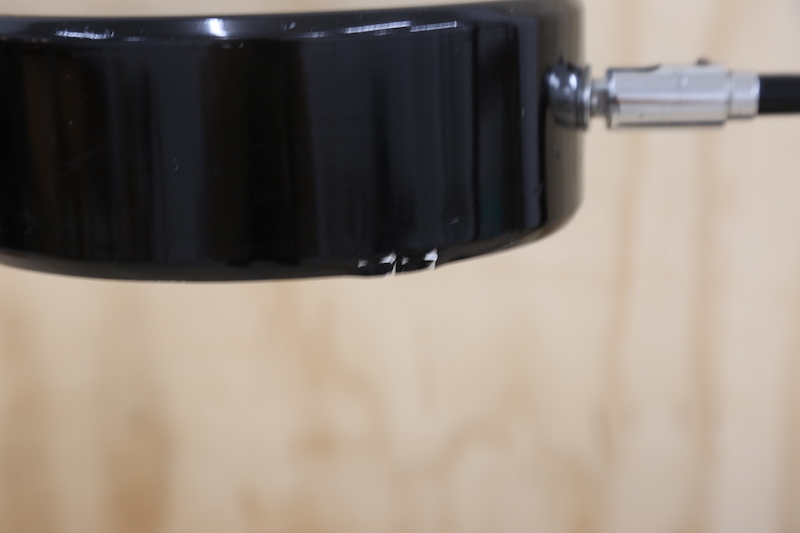 Minor stains on metal shade, minor scratches on wooden base.